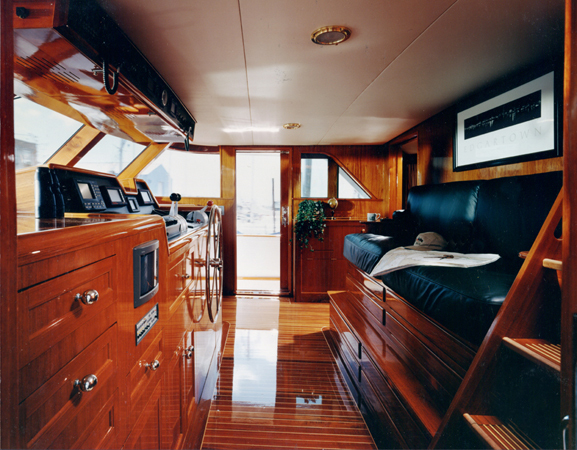 Motor Yacht KELDI is a classic motor yacht built by the respected Burger shipyard in 1995. 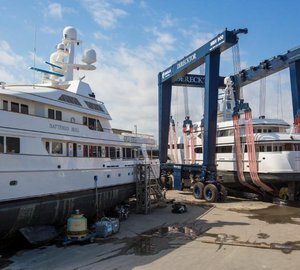 M/Y Keldi measures 27.43m (90 feet) in length and is able to accommodate up to 6 guests in 3 cabins. 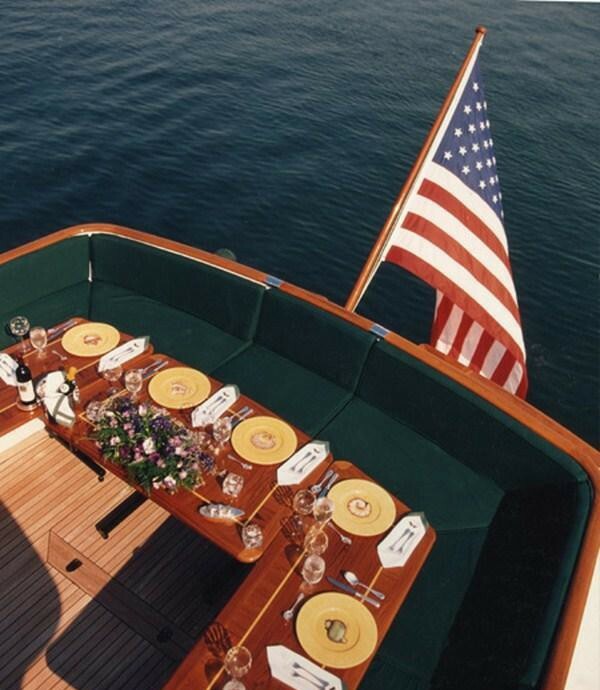 Charter yacht Keldi is available for charter in New England during the summer. 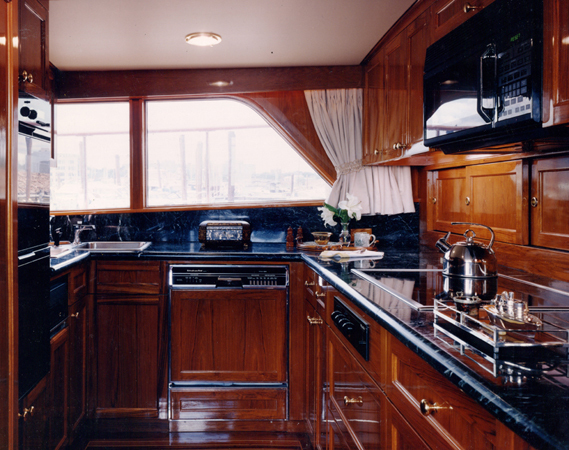 M/Y Keldi has a classic interior with a traditional feel and high gloss wood finishes. She has a comfortable main salon with a separate dining area, and is in excellent condition having been well maintained by her Owner. 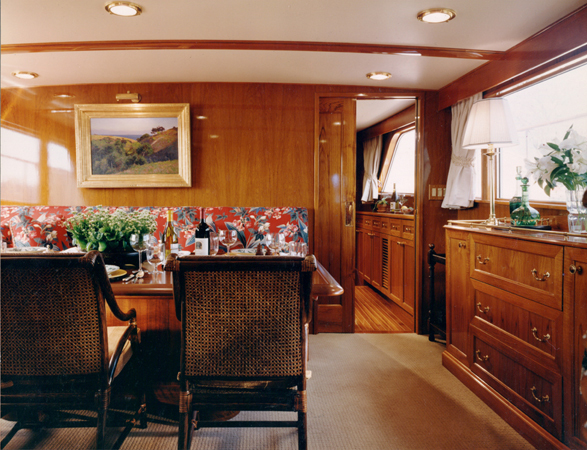 Charter yacht Keldi has good deck space forward with ample sun pads, and the aft deck has a table and comfortable seating for alfresco dining. 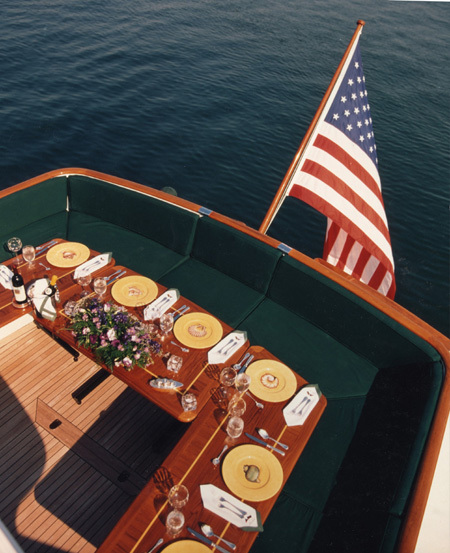 The Keldi charter yacht also has a good sized fly bridge with further seating where guests can dine and enjoy the view. The swim platform gives you easy access to the water, so you can leap in for a spot of snorkeling or splash around with the inflatable water toys. 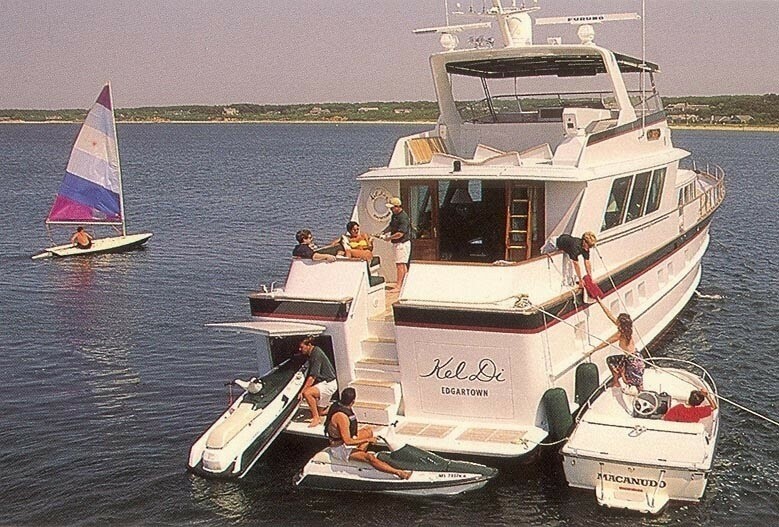 The classic motor yacht Keldi offers snorkeling gear and a range of inflatable water toys for all the family to enjoy. Rendez-vous diving is by appointment. 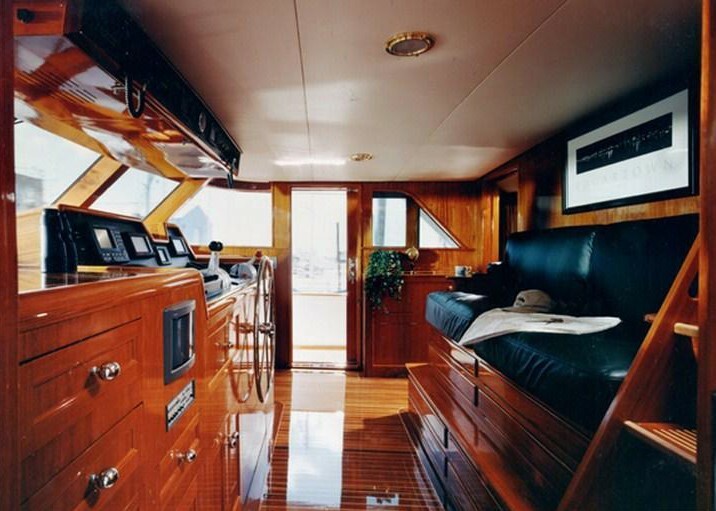 Charter yacht Keldi is 27.43m in length (90 feet), with a beam of 6.1m (20 ft) and a draft of 1.98m (6.5 ft). Keldi cruises at an average speed of 17 knots, and can reach a maximum speed of 20 knots. 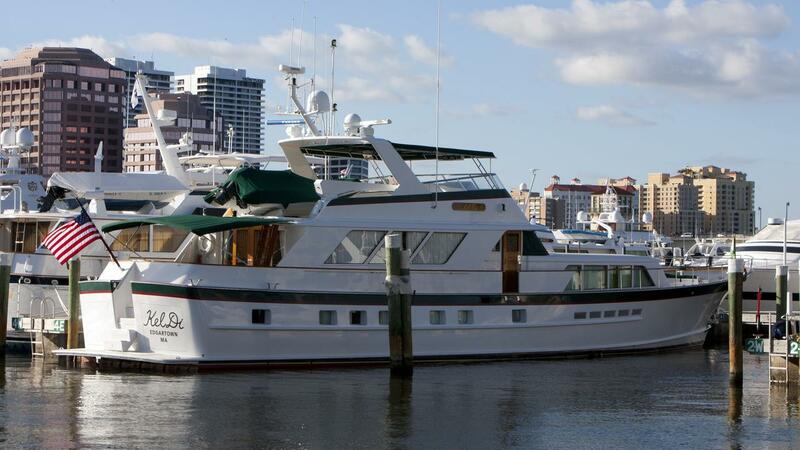 Burger motor yacht Keldi can accommodate up to 6 guests in 3 nicely decorated and spacious cabins. 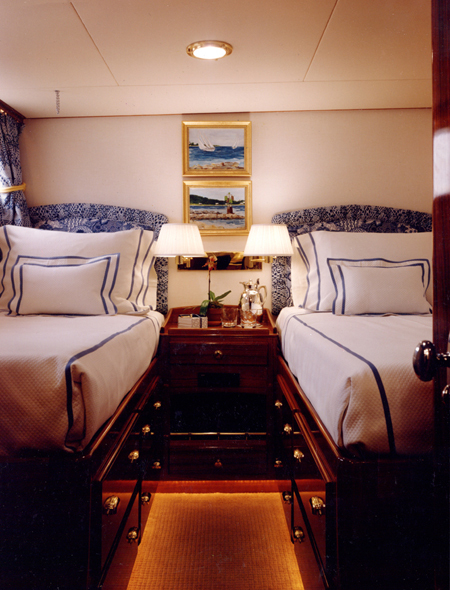 The Master cabin has a king size bed, a further Double cabin has a queen size bed, and the third Twin cabin has 2 single beds. 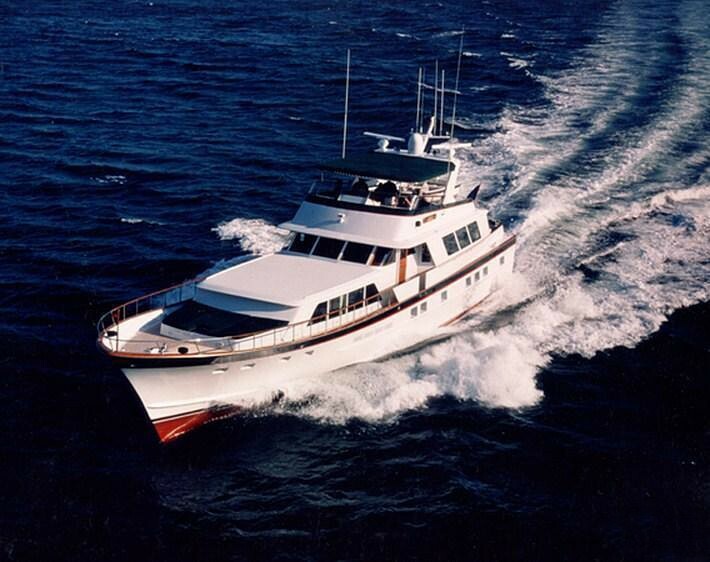 Motor yacht Keldi offers snorkeling gear, a range of inflatable water toys, and rendez-vous diving by appointment.